Private lessons always go by so quickly, and it is tough to find time to spend on the myriad components of music study! That’s why we have our department groups! We can focus on performances, composers, repertoire, performance etiquette, audience etiquette and more! 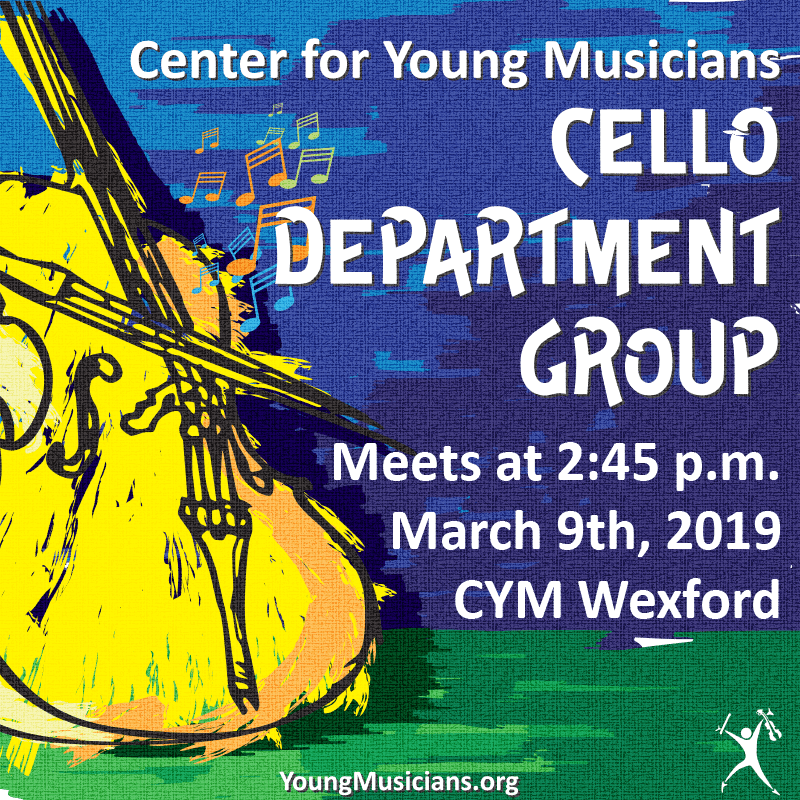 Talk with you teacher about signing up for the next Cello Department Group, which will be held in Wexford on March 9!